The French satellite operator, Eutelsat, should share any policies and procedures it has in place explicitly to safeguard freedom of expression when dealing with governments that systematically engage in censorship, Human Rights Watch said. It should also explain its decision to suspend certain Persian-language programming from its most popular satellite after Iranian authorities began jamming its signals earlier this year. 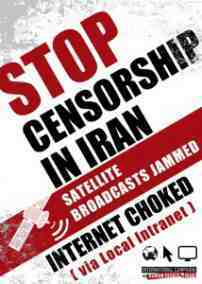 In a letter sent to Eutelsat on June 25, 2010, Human Rights Watch repeated its requests for more information regarding the company's efforts to counter Iran's jamming of satellite signals carrying Persian-language broadcasts from BBC Persian TV and Voice of America. Human Rights Watch sent an initial letter to Eutelsat on February 8 asking the company to explain its decision to suspend the programs from its popular Hotbird 6 satellite. A follow-up letter with additional questions, including a request for information regarding Eutelsat policies and procedures in place to protect freedom of information, was sent to Eutelsat on March 17. BBC Persia has been working with the BBC's Arabic TV service to broadcast rolling news from Egypt, and the broadcaster news coverage of events in Egypt. This has prompted Iran to jam the channel since Thursday. 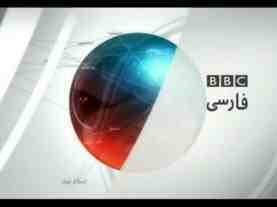 Many Iranian viewers claimed to have been watching events unfold in Cairo and elsewhere in the region extremely closely, the corporation said, and BBC Persian has vowed to continue its broadcasts to Iran and its coverage of the turmoil in Egypt. Perhaps the Iranian authorities have something to fear. On Friday hundreds of thousands of Iranians chanted slogans supporting the Arab uprisings, while denouncing the United States, as they marched to mark the anniversary of the Islamic revolution. 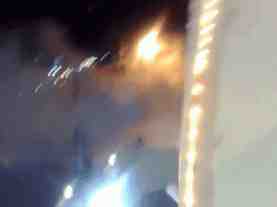 Egyptians, Tunisians, your uprisings are just and we are with you, the crowds chanted. In the midst of protests in Bahrain's capital of Manama that resulted in over 200 arrests and at least one death, evidence suggests that the government has clamped down on the Web, blocking access to specific YouTube pages and videos as well as, possibly, video live-streaming site Bambuser.com.